Ativa Esporte General Manager, Sports Marketing lecturer at FIA and Atlético-MG fan. 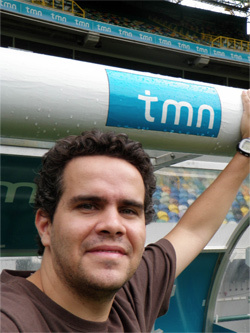 Former Director of Sports for Twitter Brazil, British Council, and Geo Eventos. Worked in some major sports projects in Brazil, such as the FIFA World Cup Brazil 2014, the Rio 2016 bid, Tênis Espetacular (Guga x Agassi), NBA Baskteball Show, Athina Onassis International Horse Show São Paulo, among others. Experience with multinational corporations, such as Unilever, Nestlé, AND1, etc.. Graduated in Advertising and Journalism (UFMG) with a MSc in Sport Management (Sheffield University). Author of academic papers and articles.